Big and bold is all the rage these days. We have super-sized portions and super-sized vehicles. We tune in to hear loudmouth politicians ignore facts and avoid nuanced civil discourse because compromise and complexity are boring. Subtle details require too much time and attention. 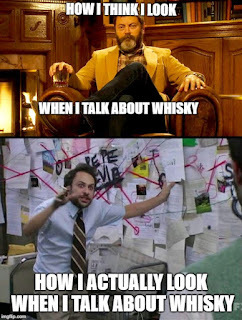 Even whisky aficionados fall into this trap from time to time. I've been guilty of it too; ignoring "subtle" whiskies in favour of cask strength whiskies, peat-bomb whiskies or even sherry-bomb whiskies. Does subtlety still have value? Of course it does. Some things require patience, perseverance and attention to what may seem like minutiae. However, putting in the time and effort can pay dividends to those willing to invest. 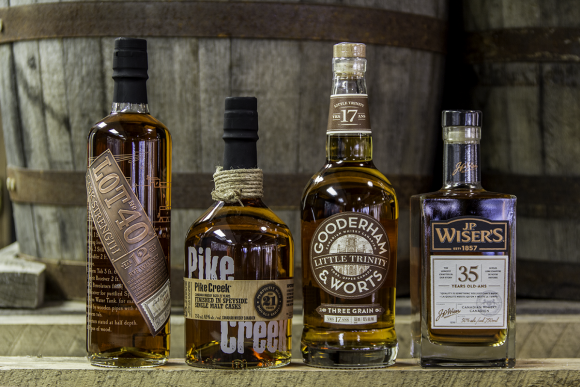 Back in October/November 2017, Corby announced a limited release of four premium Canadian whiskies. Two of these whiskies attracted more attention than their brethren. J.P. Wiser's 35 Year Old caught our attention with its age and Lot No.40 Cask Strength 12 Year Old excited those of us who already love the "standard" Lot No.40 with its boisterous "it goes to eleven" nature. The other two releases, Pike Creek 21 Year Old Speyside Cask and Gooderham & Worts 17 Year Old Three Grain, didn't draw as much immediate fanfare. Whisky enthusiasts ignoring the latter two are missing out. Gooderham & Worts' Four Grain is a Canadian whisky that has grown on me over time. It's an excellent whisky to drink neat, on the rocks or even in a cocktail. If you haven't tried that one, you should. My experience with the Four Grain enticed me to buy the 17 Year Old Little Trinity. The name honours Little Trinity church, a church founded by William Gooderham in 1842 for his mill and distillery employees who couldn't afford the high pew fees in the area. So, how does this whisky taste? Before imbibing this one, I strongly suggest you let it sit in your glass for at least twenty minutes. The Little Trinity needs some time to open up. The flavours are subtle at first, but they develop beautifully with time. Finish: medium length, a slight nuttiness, just a bit drying and tannic, with the sweet and spicy notes lingering along side the oak. Adding water, even a little bit, really brings some complexity out of this whisky. The vanilla becomes more prominent on the nose, and some thick, floral honey appears on the palate. I recommend adding water, even a tiny bit, to this whisky. It is subtle, but very complex. It’s not a belter like Lot 40 Cask Strength, but it will seduce you slowly, without you even noticing. 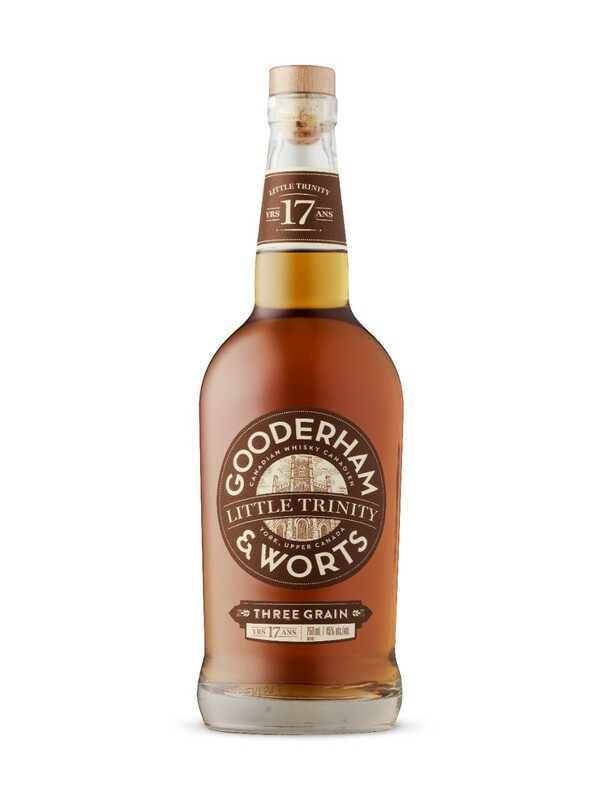 Gooderham & Worts Little Trinity 17 Year Old Three Grain may not blow your socks off right away. There's no peat or sherry and it isn't a rye-bomb either (there are some subtle rye notes). Little Trinity is very complex though. It requires punctiliousness, and it is worth the effort. This is a rich whisky. It's a terrific sipping whisky. Maybe it's the packaging affecting my perception, but this feels like an Old Timey whisky; like something Mark Twain would have sipped while writing Tom Sawyer. I don't know what whisky tasted like in the 1870s, so this is just a feeling, a guess. Nevertheless, I highly recommend this whisky. It's unlike anything I've tasted before. A really nice opening beginning of this review, Yeh, in this century LIFE ALWAYS SEEMS ON THE GO GO...Everyone should stay back and smell the rose punctiniouslyou, specially with a good drink. Good detail review. On sale in Alberta, Canada at $60. Cheers with responsibility.